London--By conventional wisdom, David Blunkett should not have made it to the top of British government. The home secretary is a politician who doesn't suffer fools. He is unflinchingly blunt in an administration that weighs every word. And Blunkett, the country's chief law enforcement officer, is blind. Add to that the fact that his guide dog threw up in the venerable House of Commons debating chamber‑‑most impolite‑‑and Blunkett should be back in working‑class Sheffield, where his early teachers suggested a career in piano tuning. Blunkett, however, has never allowed conventional thinking to get in his way. Despite his hardships, or perhaps because of them, he has risen to one of the most powerful posts in Britain and is among the most effective members of Prime Minister Tony Blair's Cabinet. Increasingly he is mentioned as a potential heir to the Labor Party leadership‑‑particularly by those who dislike Gordon Brown, the ambitious chancellor of the exchequer‑‑whenever Blair moves aside. But could he‑‑would he‑‑do the job at 10 Downing Street? And would Britain elect a blind prime minister? "Fortunately, there isn't a vacancy," Blunkett said in an interview. "It is unlikely that Britain would be ready for a blind prime minister because it takes a long time for people to get used to the idea that someone with a disability can work at the level I am working at now," he said. �Besides,� he added, "I am working at my capacity, and I enjoy the job I have very much." Such candor from the fifty-four‑year‑old Blunkett has not quashed speculation among the chattering classes. Nor has the fact that the job of top cop rarely serves as a springboard to the prime minister's office. Blunkett's high standing is all the more remarkable given the times, during which he has taken responsibility for such controversial issues as immigration, law enforcement, and the nation's security. He assumed the Home Office portfolio last summer as Britain's worst race riots in decades broke out in northern England and a few months before the September 11 attacks. The events thrust him to the forefront of debates on race, crime, and civil rights almost before he had unpacked. His responses have confounded critics and allies alike. Blunkett offended many traditional Labor Party supporters by threatening to use water cannons against rioters of South Asian ancestry. He insisted that immigrants should learn English and adopt British ways when coming into "our home," although most of the rioters were British‑born. And he introduced detention centers for asylum seekers, a move long favored by the opposition Tories. On the other hand, he proposed a liberal, green‑card‑style program to allow skilled and unskilled workers into Britain to fill labor shortages. And although he is adamantly opposed to the use of recreational drugs, Blunkett has in effect decriminalized marijuana to free up police resources. "David is interested in what is going to be most effective in terms of achieving his policy outcome," said former aide Conor Ryan. "He made a pragmatic decision on cannabis because he is concerned about hard drugs." Blunkett's biggest battle so far has been with human rights activists and leftist members of his own party over the sweeping anti‑terrorism legislation he pushed through Parliament in December. The law allows the government to detain, indefinitely and without trial, foreigners suspected of links to terrorism if they cannot legally be deported because of the threat of torture or death at home. It also gives security officials unprecedented access to information from schools, hospitals, tax authorities, passenger and freight carriers, and Internet providers. Blunkett's new powers have fueled charges that Britain, already one of the most closely monitored societies in the West, is becoming ever more of a Big Brother state. "He is putting through authoritarian policies which go against many civil liberties. He overreacted to terrorism attacks with speed and almost panic," said political science professor Vernon Bogdanor of Oxford University. Nonetheless, Britain's skeptical public and highly critical media give Blunkett good reviews. Some people assert that this is a reflection of his political skill, while others say no one wants to be seen beating up on a blind man. Still others believe it is because Blunkett is a rare politician. "You can't help but like him," said Philip Johnston, home affairs editor for the conservative Daily Telegraph newspaper, which is usually hostile to the Blair government. "The hardships he has had to overcome are quite extraordinary. . . . He is likable, amusing; he's not slick." Gary Younge, a columnist for the left‑of‑center Guardian newspaper who has slammed the home secretary for a "regressive" approach to race issues, adds that Blunkett has "an emotional intelligence lacking in the political leadership of all persuasions for some time. Mr. Blunkett does not have to go off the record to sound like a human being." Blunkett comes from a part of northern England known for its plain‑spoken ways. Unlike most members of Parliament, he represents an area where he was born and grew up. There is a Dickensian quality to Blunkett's early life in industrial Sheffield, a city in South Yorkshire whose dreariness was made famous by the 1997 film The Full Monty. Born blind to loving parents who lived in one of the country's poorest housing projects, he was sent to boarding school at age four because there were no day schools that could cope with his disability. When Blunkett was twelve, his foreman father fell into a vat of boiling water on the job at the East Midlands Gas Board and died an agonizing month later. The company refused to pay compensation for two years, driving the family into a poverty that few, if any, British politicians have known. "There is nothing even faintly romantic about being poor and hungry," Blunkett wrote in his 1995 autobiography, On a Clear Day. But Blunkett has no patience for sentimentalism, least of all about his own life. When asked about the hardships he has overcome, he pulls a handkerchief out of his pocket and wipes mock tears from his eyes. In an era of limited options for the disabled and the working class, Blunkett went to night school to take college preparation courses and then attended Sheffield University, where he graduated as a teacher. He and his wife Ruth had three sons before they divorced in 1990. He has not remarried. Some Britons speak of Blunkett's success as a kind of American dream, but he says there are differences. "The opportunities I had, going to university and all those things, were built on other people having made decisions that changed the world," Blunkett said. "The individualism that's built into the American psyche isn't here, and therefore we have to recognize that we have a form of welfare state which, at its very best, provides the jumping‑off point for people to improve their lives," he said. "At its worst it cushions people to the point where they don't feel that necessity to take risks and control over their own lives. Our task [as a government] is to get that balance right." 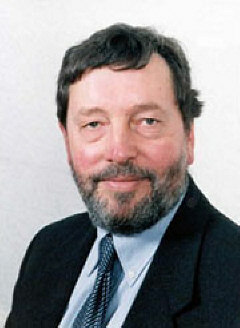 Blunkett won a seat on the Sheffield City Council at twenty-two, took over as leader of the Council in 1980, and was elected to Parliament in 1987. When Labor won power ten years later, he was named secretary of education and employment. During his four years in the post he reduced class sizes and oversaw an improvement in national test scores. He also introduced performance‑related pay for teachers and the country's first university fees. When Labor won a second term last year, Blunkett was promoted to home secretary, where he is taking on police reform and street crime along with international terrorism. His day begins with briefings from aides, who go over newspapers and documents with him to find out what he wants committed to tape or Braille. "What sighted people forget is how much speed reading they do, moving from one page to another," said Ryan, the former aide. After a long day of meetings, hearings, and sessions of Parliament, Blunkett takes a dozen or more tapes home in the evening, Ryan said. The home secretary compensates for his lack of sight with other senses. Blunkett easily recognizes voices and seems able to follow two conversations at once‑‑even when he is holding one of them. And he has an uncanny sense of when people have come and gone from a room, however quietly they may move. Blunkett stands tall and moves confidently with the assistance of his dog Lucy, a black curly‑coated retriever mix‑breed. When he meets someone new, he is quick to put the person at ease. He refuses to adapt his language to his disability, often speaking of having "watched" a television program or offering to "see you later." "He hates terms like `visually impaired,'" Ryan said. "He worries more about content than terminology." That's the Yorkshireman in him, constituents said during one of his weekly trips home to Sheffield. When Blunkett arrived to speak to tenant associations about his war on street crime, the headline greeting him on the afternoon Star newspaper was "Police Chief Mugged." Blunkett was unfazed. "They're no less vulnerable than anyone else. Nobody is exempt," he said. "There's no point saying national crime statistics show a 12 percent overall drop in crime last year if people don't actually experience that in their own lives and families." Brown, Blunkett's Cabinet colleague, is generally presumed to be the one who will take over the party when Blair is ready to step down. The chancellor of the exchequer has broad support among Labor members of Parliament and the trade unions. But Blunkett's rising star became apparent to political reporter Colin Brown, who is no relation to the chancellor, last summer at the launch of the home secretary's latest book, Politics and Progress. The reception was attended by the in‑crowd of "new Labor"‑‑the secretaries of health, transportation and education, and Blair's wife, human rights lawyer Cherie Booth. "Everybody was there, and they weren't there just for moral support," said Brown of London's Independent on Sunday newspaper. "It was easy to see what was going on. They were saying that David has the support of Downing Street."